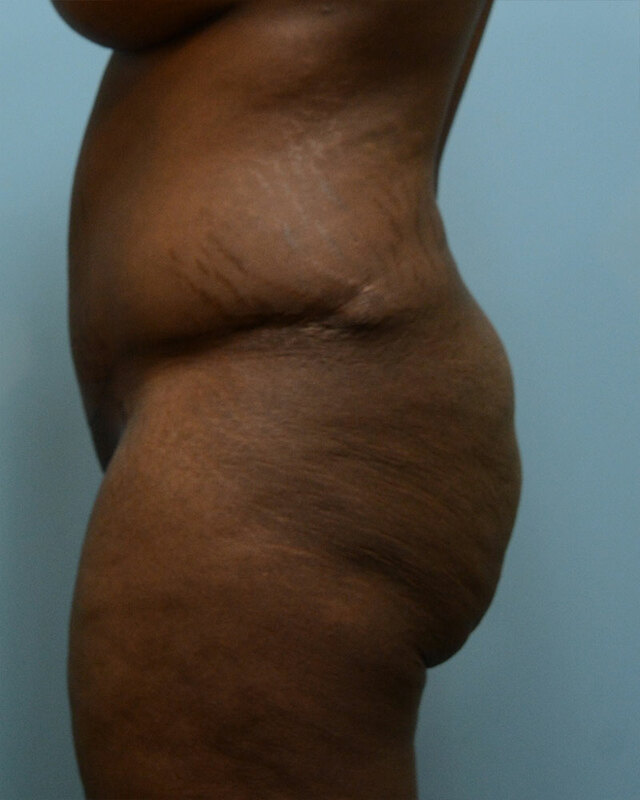 This Virginia Beach patient in her early forties was interested in liposuction of her abdomen, hip rolls, mid back and medial thighs. During her exam, I noticed that she had depressions on the side of her hips. I suggested treating this area by taking a small amount of the fat we planned to suction and inject into those depressed areas. She was excited about this option that she was not aware of before. Following her surgery, this patient became very motivated to change her diet and work out every day and she lost 15 pounds. 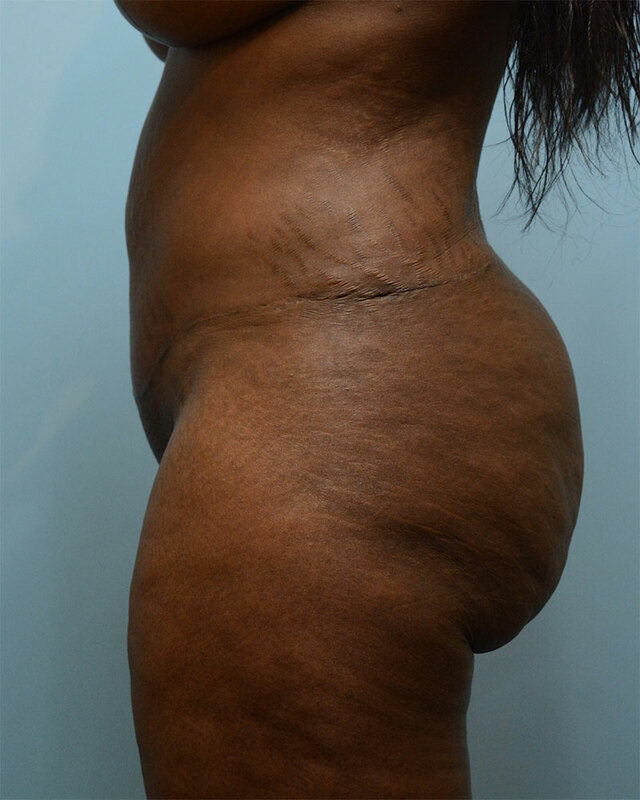 The after picture is taken four months following surgery and demonstrates the dramatic results with the combination of liposuction, exercise and a change in eating habits. Her silhouette shows a small amount of fat injection can make a difference to the curves of the body. Notice also, in the view from behind, how the mid back crease is mostly gone. Weight loss and liposuction alone cannot accomplish that much change. She had a special basket cannula used to treat the depth and attachments deep in the crease.